The Smoby Fendt Tool Carrier is oozes quality. 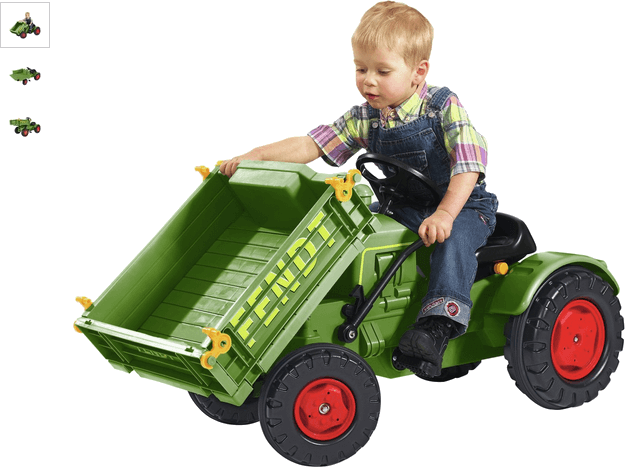 The superb vintage designed farm vehicle features a specially designed front-loader and secret hiding place for storage under the adjustable drivers seat (three different heights). The seat itself can be tilted and all the sides can be folded down and closed. With child friendly pedals and integrated precision chain drive, little ones can drive this vehicle with ease and joy. Get money off with April 2019 free Argos voucher codes, see if there's a promo code for the Smoby Fendt Tool Carrier product. Argos may be out of stock of this product. To enhance your shopping experience you may also be redirected to a search results page when you click an outbound link.